Television started on 24 August, 1962 in Indonesia in Jakarta with the state-owned station, TVRI. TVRI started broadcasting on the 17th anniversary of Independence in Indonesia. It was having a television monopoly in Indonesia until 1989, when the first commercial station named RCTI began as a local station and was consequently given a national license, after a year. Both networks in Indonesia are having a wide variety of programs including the traditional shows like wayang performances and Western shows such as Indonesian Idol. “Sinetron” is a television show that is common to almost all the networks. It is often a drama series, following the soap opera format. However, it can also refer to any fictional series. It can be comedic sometimes such as the popular “Bajaj Bajuri” series, highlighting a bajaj driver and the people he drives around. The live TV streams are also offered by the top TV channels operating in the country. Indosiar, operating in West Jakarta from 1994, is one of the national television stations in Indonesia. Stock Exchange listed Indosiar in the year 2004. 8.5% of the shares are owned by Citibank Singapore. PT Indosiar Karya Media Tbk (the parent company) is employing around 1,550 people and is a member company of Emtek from 2011. Indosiar is completely owned by Emtek’s subsidiary, “Surya Citra Media” from May 1, 2003 (after the merger with IDKM) at present. The claimed audience share of Indosiar for Sep 2008 was 16.5% viewers which decreased to 11.6% in Dec 2009. RCTI (short for Rajawali Citra Televisi Indonesia) is the first privately owned television network in Indonesia and is based in West Jakarta. 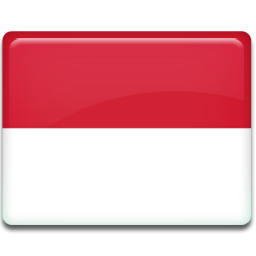 It broadcasts Indonesian Idol and sinetron (soap operas), news, current affairs, religious programs, reality shows and films. Seputar Indonesia (Around Indonesia) and Buletin Malam (Nightly Bulletin) are the news and current affairs programs of RCTI. Putra Nababan, Atika Suri and Hemi Johannes are some of the presenters of RCTI.